The Saraii Village, Randunu Kele Watte, Weerawila, Hambantota District, Sri Lanka. 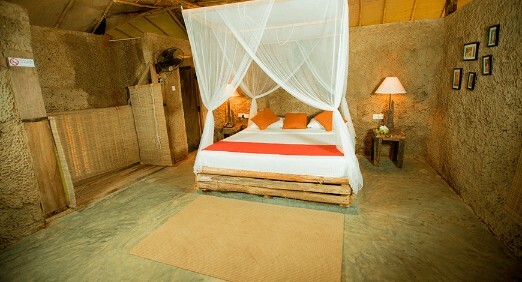 Get ready to explore the wild side of the world through the Saraii Village’s 10 Day Meditation & Yoga Retreat package. Over the course of the next 10 days of their life, guests at this Yoga Retreat will be able to live the authentic Sri Lankan life while being healed and becoming a better version of themselves. 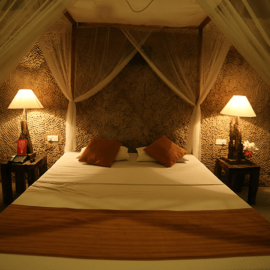 During the course of their stay here, the participants will be able to let go off your physical and mental stresses, thanks to the services which are provided here such as Full Body Ayurvedic massages and daily morning Open Air Yoga sessions. Special Anti-Stress medicines are also available for those who wish to go for it. The meditative yoga techniques which are taught here are the likes of the Kundalini yoga, Vinyasa & the Anapanasati. The package subscribers will be able to spend a whole day in Ella. Ella is a mountain area which is blessed with some of the best views of Sri Lanka. Post which, the participants will get to take a dive alongside a waterfall & will get an opportunity of climbing up to the summit of Small Adam’s peak. On one of the other days, the participants will be spending a whole day at the picturesque Kirinda Beach. 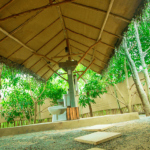 The package includes 13 Yoga and meditation sessions, 1 special anti-stress meditation of 60 minutes and 2 Ayurvedic full-body massage that last an hour. 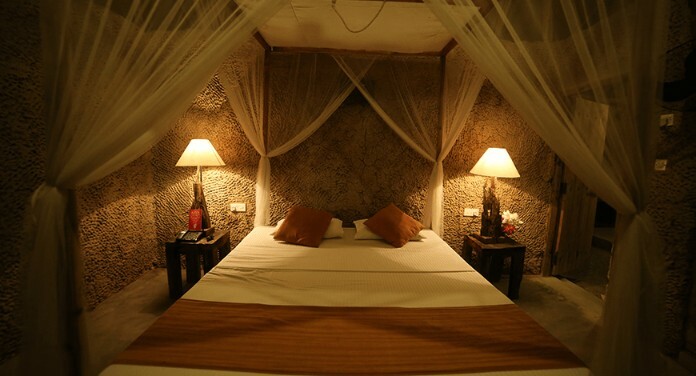 Additionally, the patrons will be a part of the Jeep Safari visit to the Yala National Park. Given its contents, this package is all that one may need to feel like a renewed or even a better version of themselves. 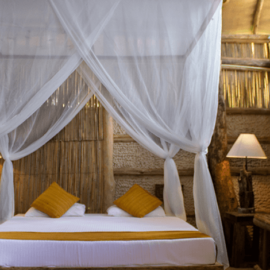 It is also a perfect choice for those who would like to explore their wild side for a prolonged period of time amidst the company of the Sri Lankan wildlife, flora & fauna. 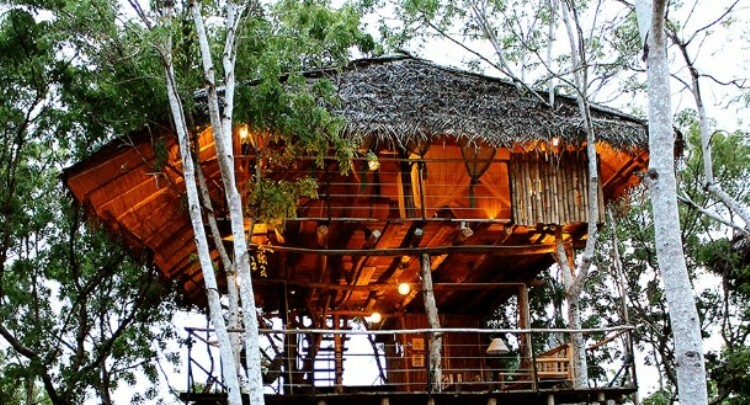 This wild experience is complete with a 9-nights-long accomodation in the sort of rooms which are essentially well-built tree houses or very sturdy recreations of the kind of homes that are usually found in the Sri Lankan subcontinent. Everything that is cooked at Saraii’s Spice Lounge is plucked straight out of its own verdant gardens and the artisan chefs at this Yoga Retreat in Sri Lanka are known to perform the art of gastronomical alchemy upon these ingredients, which ultimately makes for a delectable cuisine experience. The Spice Lounge restaurant follows the philosophy of authenticity, which is also at the heart of this Yoga Retreat destination. The menu at this eatery isn’t particularly vast, but each and every delicacy which is a part of it promises a kind of sensory explosion that will far exceed your expectations. Within the campus of this Yoga Retreat, there also exists a stunning Pool Bar, where you can get the refreshments of your choice at any time of the day. You can also have a gala time with your family around a fire, indulge in some poolside romance or even have a private dining experience by the beach. 100% refund before 30 days from the date of arrival. 50% refund before 15 days from the date of arrival. All it takes is a climb up the ladder to discover why our Superior Tree House is a firm favourite amongst guests of all ages. 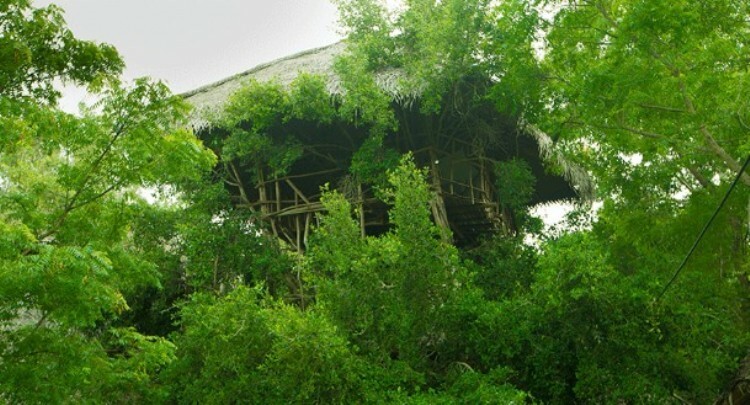 Built on a sturdy old Palu tree, it sits majestically at 25 feet above ground like something out of a storybook. 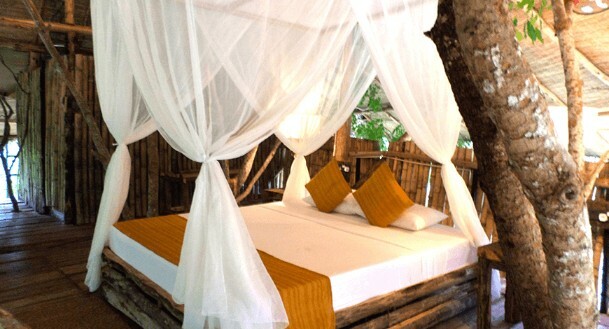 Amongst Saraii’s oldest tree houses, it features 2 floors to shelter up to 4 people in the most magical of ambiences, providing a sense of both safety and an escape for your inner child. Perfect for families with kids or small groups, it is beloved for its breath-taking view of the surroundings and the thrilling feeling of the tree swaying gently in strong winds. 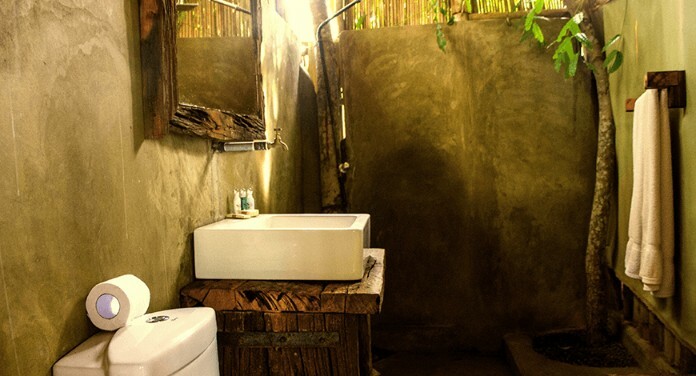 Sitting prettily under our tree houses suites are a pair of charming little Superior Mud Chalets that prove that good things come in small packages. 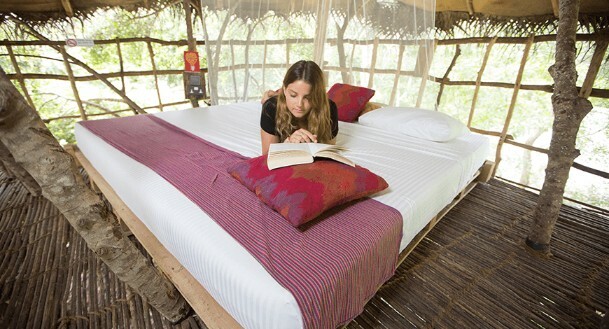 To be booked as an extended room combo with the tree house for larger groups, or as a separate cosy hideaway for couples, these colourful little units are full of character. Even the simplest of corners have been treated to Saraii’s special touch. Well-appointed with creative niches and fittings, each chalet is lovingly crafted and features artistic nooks that add detailed authenticity. Step away from boring reality and step into the fantasy of living wild and worry-free, surrounded by the natural world. 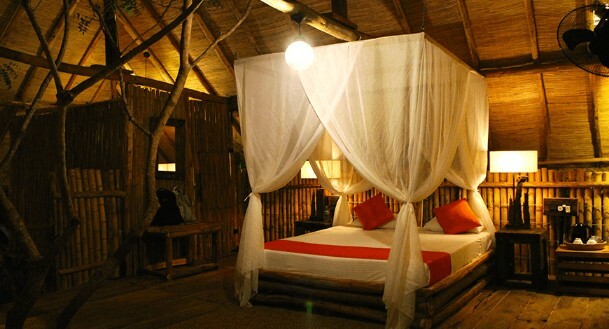 The latest addition to our treetop experiences, our spacious tree house suites are Saraii’s most popular room choices. 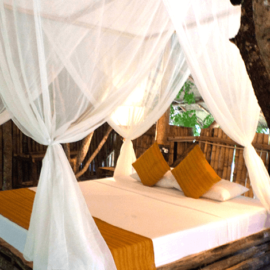 Designed to accommodate up to 8 guests, each tree house suite is perfectly suited for a romantic getaway or for a group of friends, and features two floors with an extra-large bed and inbuilt bathroom upstairs, plus a large spacious lounge downstairs. Step out on the deck at night to enjoy your bespoke view of the glittering clear night sky above you or a bird’s eye view below and breathe in the memories that only Saraii can create. 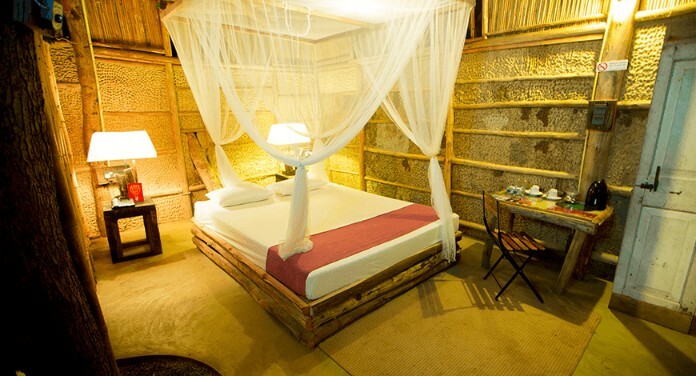 Put yourselves in the shoes of the locals and enjoy an authentic village living experience. 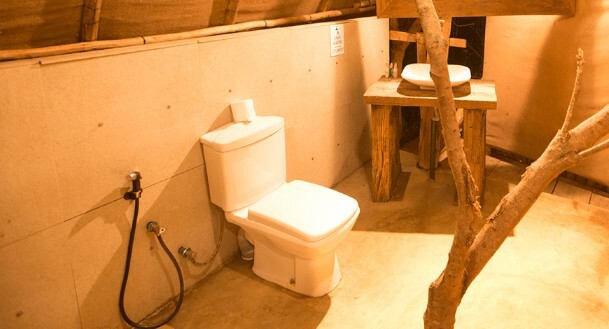 Saraii’s unique Mud Chalet Suites are designed to be as close to the real indigenous homes in the rural locale. Each of the two suites has its own individual charm and character – one facing the rising sun and surrounded by gardens of organic fruit and vegetables. The other nestles cosily in the corner of our little forest; the original structure that inspired Saraii’s name. Sri Lankan village homes are typically crafted on the foundation of sustainability and Saraii’s architecture borrows a page from that book. Complete with mud walls that literally breathe and help maintain a cool interior during the heat of the day, and with the luxury of privacy and space with enormous beds just waiting for you to sink into them, our mud chalets are the perfect solution for the visitor wanting to stay on ground.